The next issue of Crochet Today! has been published. It is their Holiday issue so I have not seen it in many stores yet – I think they are waiting until we are closer to Christmas. Here is my design in this issue – The Solstice Tote. It is the first time I’ve designed with Red Heart’s Sashay Yarn. The yarn gives very unique results and once you get the hang of it, is easy to work with. There are many other great holiday projects that the designers came up with. I hope to try the Granny Brag Frames and Winter Berry Earrings. Check the photos out at: www.crochettoday.com and while there you can subscribe on-line to get these and many great patterns in each issue. 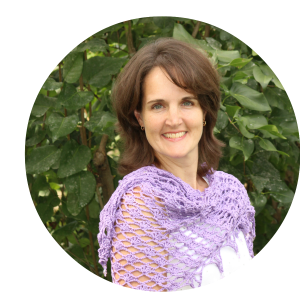 National Crochet Month - Crochetville Blog Tour!